When shopping for a new skid-steer or compact track loader, the loader’s quality and serviceability are major drivers of value, because they can maximize your uptime protection. Investing extra dollars in features that monitor your machine will also often pay for themselves by helping you detect small problems before they become big, and protect your machine from jobsite damage. The new M-Series skid-steer loaders, all-wheel steer loaders and compact track loaders deliver quality and innovation that drives value and protects your investment. The efficient, high-capacity M-Series cooling system delivers exceptional performance and longer machine life. The swing-up cleaning access makes it easy to perform daily inspections and remove dust and debris, if necessary. Simply remove a cover and push up the large aluminum oil cooler and use low air pressure or water pressure to clean the area between the cooler and radiator. The new design ensures peak performance from your cooling system. Integrated, pressure-release quick couplers are mounted directly into the front plate of the lift arm, with no exposed hoses to damage. The guard extends past the coupler, giving you added protection. A removable hose guide helps protect hydraulic hoses from the quick couplers to the attachment. The M-Series lower rear frame extends past the tailgate to protect your skid-steer loader or compact track loader from obstacles, scrapes and bumps on the worksite. 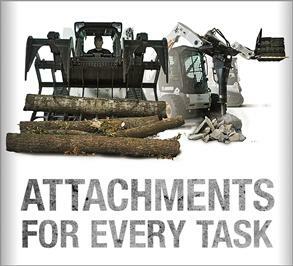 Quickly secure your M-Series skid-steer loader or compact track loader without searching for hard-to-reach tie-downs. The new tie-downs are easy to locate and use. Use the handy gauge to check the hydraulic oil level quickly and easily as you walk by the skid-steer or compact track loader. The gauge is conveniently located for daily maintenance checks. The convenient pivot pins on key maintenance points make your checks go faster. Avoid laying on the ground or to grease the pins. The accessory belts need no adjustments, reducing maintenance and providing peace of mind. Engine coolant, hydraulic oil and engine oil are continually monitored. If a vital function is out of normal operating range, the system provides an alert and warning message. If the issue is severe, the machine automatically shuts down to avoid catastrophic failure. The on-board diagnostics efficiently troubleshoot issues in the field — or prevent them before they occur. Remain productive and on the job longer. Reduce the risk of theft or unauthorized use with keyless start, a feature available with the optional deluxe instrumentation panel. Protect your investment with up to eight customizable security codes. You can also lock out certain loader functions such as two-speed and high flow for individual operators. 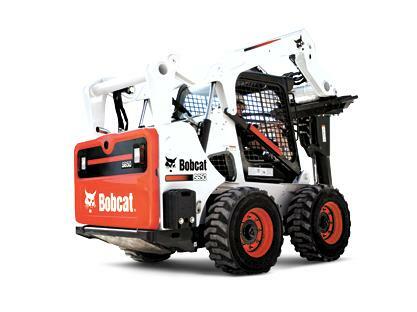 The rugged Bobcat® skid-steer loader chaincase is the only maintenance-free chaincase in the industry. The protected axle seats never need adjustments or greasing. M-series skid-steer loaders feature endless roller, high-strength oval chains with no master link. 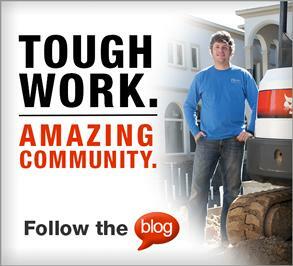 The chains are 38 percent stronger than those used by other compact loader manufacturers. 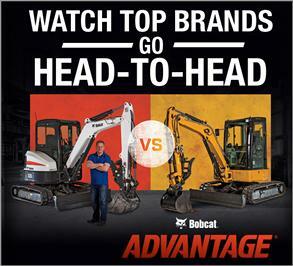 Bobcat skid-steer loaders have more ground clearance than other loader brands, helping you travel through mud and sand. The keel-shaped undercarriage is lowest at the center of the machine, with increased ground clearance closer to the wheels. The design allows the loader to pass over most obstructions, much as a boat slices through water. Other skid-steer loaders have flat bottoms that bog down in soft conditions. Bobcat Company’s exclusive compact track loader Roller Suspension™ system option utilizes all-steel components to increase operator comfort without sacrificing durability.